MILFORD - Carol Ann Brannigan, beloved wife, mother and grandmother, passed away Sunday morning, April 3, 2016, at Bassett Medical Center in Cooperstown. She was 64. A native of Long Island, she was born November 9, 1951, in Huntington , a daughter of the late Mike and Rosalyn (Smidt) Spunt. On May 5, 1973, Carol Ann married Harry George Brannigan in Huntington. For the past 27 years they have made their home in the Town of Milford. She was currently employed in the Accounts Receivable division of the Finance Department for Bassett Healthcare Network in Cooperstown. Throughout her life Carol Ann enjoyed animals of all kinds, especially her own pets. She also loved gardening and taking trips. Of the Roman Catholic faith, she attended St. Mary's Church in Oneonta. Carol Ann will be greatly missed by her loving husband of 43 years, Harry G. Brannigan of Milford; their son, Harry Michael Brannigan and his companion, Julie Smith, of Mt. Vision; one granddaughter, Shannon Brannigan, of Mt. Vision; a brother, Mike Spunt of Queensbury; and several nieces and nephews. She was predeceased by her other siblings. 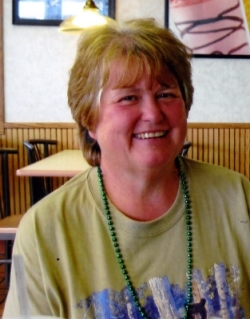 Friends may call and pay their respects at the Connell, Dow & Deysenroth Funeral Home, 82 Chestnut Street, Cooperstown, from 4-6 p.m. on Thursday, April 7, 2016, when Carol Ann's family will be in attendance. At 6 p.m. Thursday evening, a funeral service will be offered in the funeral home with Fr. David Wm. Mickiewicz, pastor of St. Mary's Church in Oneonta, officiating.